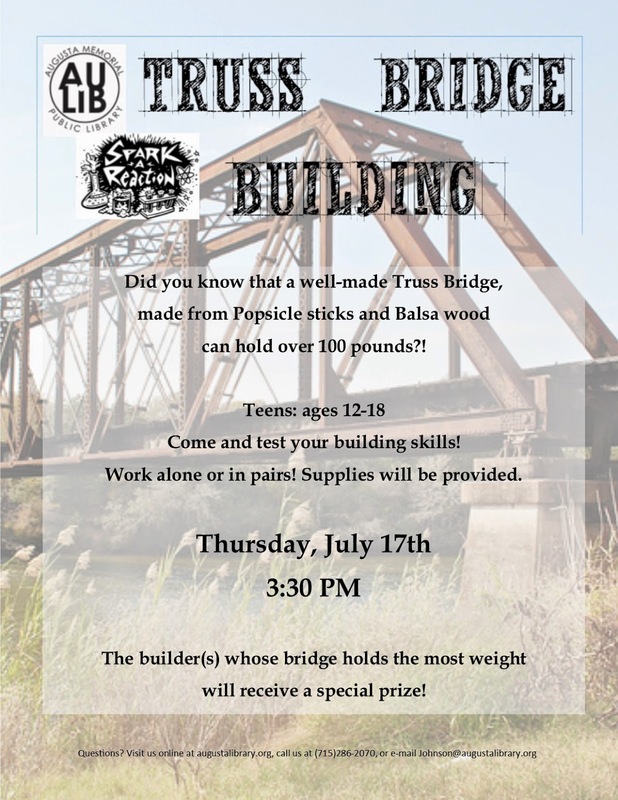 If you're a teenager and you love building things, come to the library on July 17th for Truss Bridge Building. Test your building skills and see how many pounds your bridge can hold. You'll not only gain personal satisfaction--you'll also gain a prize if your bridge holds the most. Please call the library at (715) 286-2070 or contact Samma Johnson at johnson@augustalibrary.org if you would like more information.